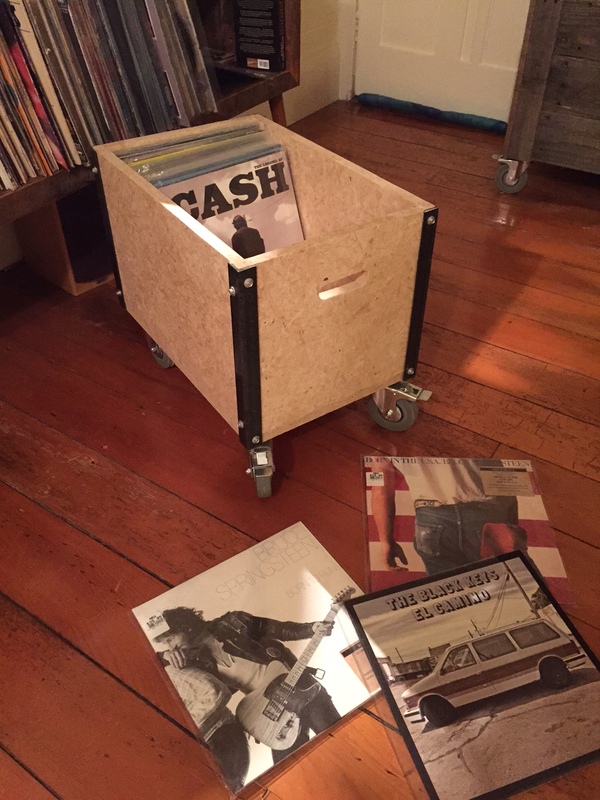 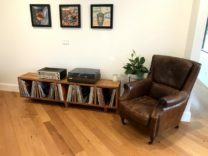 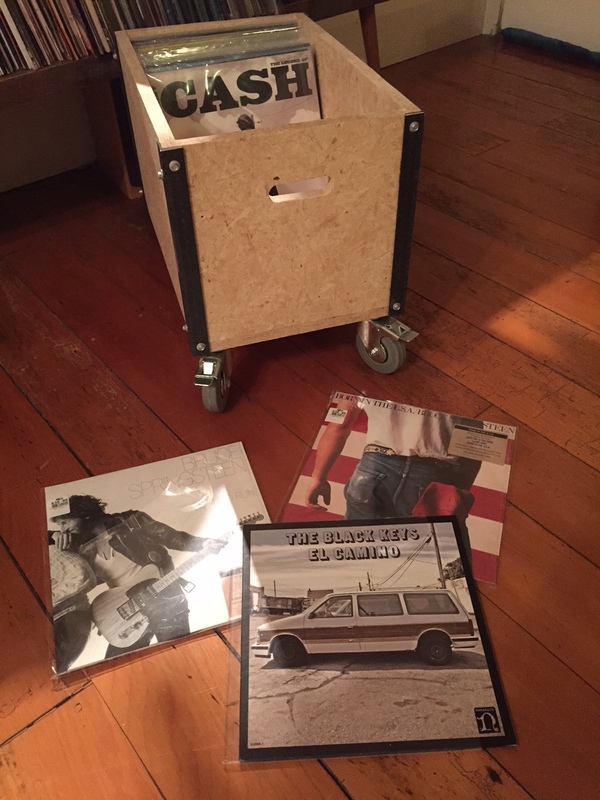 Solve all your vinyl storage issues with this cool Industrial storage crate sitting on large grey rubber caster wheels for ease of moment. 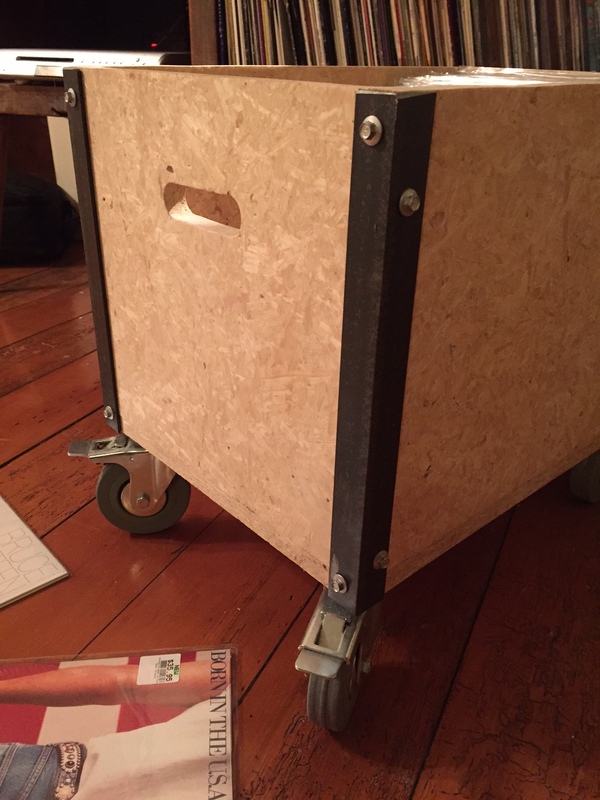 All wheels swivel 360 degrees and two have locks and brakes. 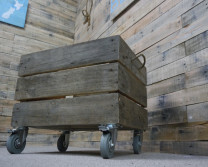 The box is made from strand board to give it a cool industrial packing crate look with solid steel corner edging. 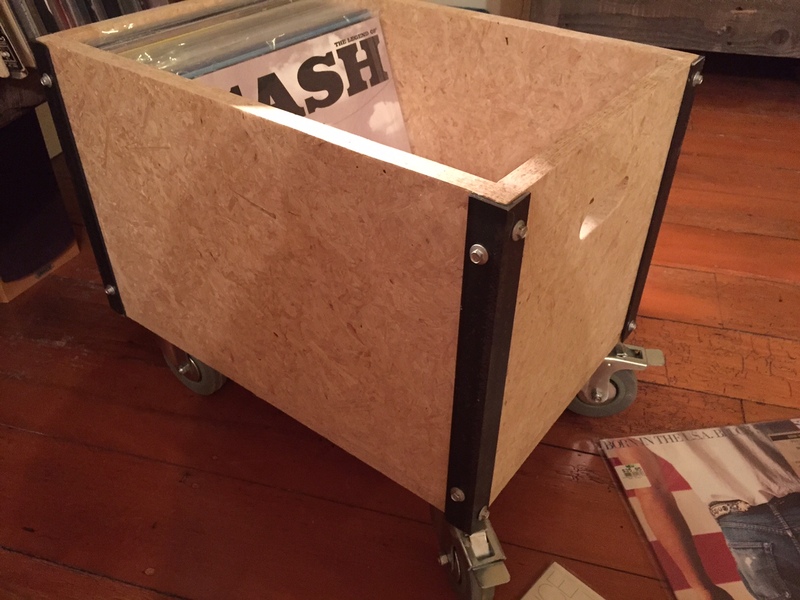 Holds approx 125 lps. 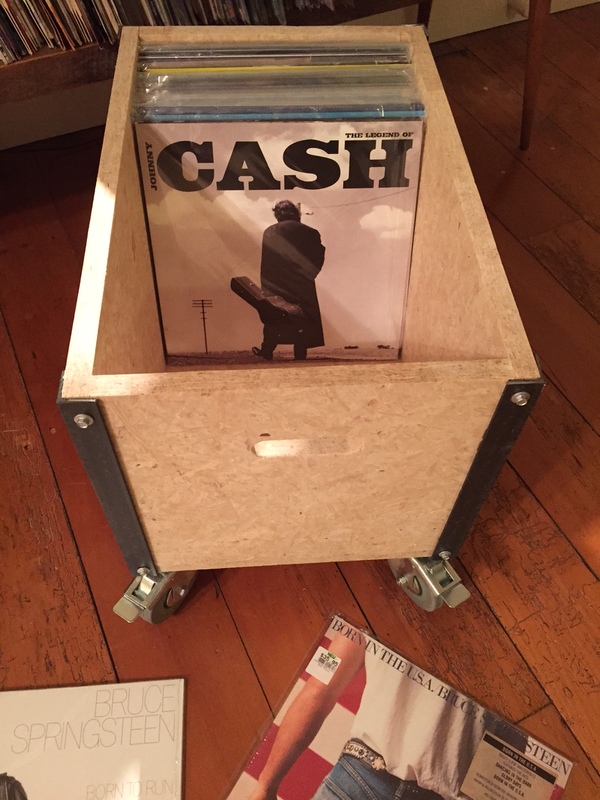 Categories: Vinyl Storage Units, Storage Crates.